Celebrate Earth Day Every Day by Recycling. Are you wondering where to recycle automotive, batteries, construction, electronics, garden, glass, hazardous, household, metal, paint, paper or plastic waste? Check out Earh911.com for a simple search on where to recycle all kinds of things most locally. 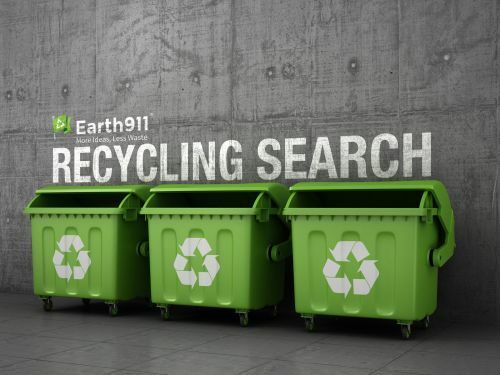 For over 20 years, Earth911 has positioned itself as a Recycling Authority. They were in the green space before it was cool. * APP: iRecycle is the premiere application for finding local US, convenient recycling opportunities when you are on the go or at home. Get the iRecycle app at the Google Play store or the Apple AppStore. The directory provides consumers and businesses with ways to recycle more than 350 different materials. If you’re looking to recycle a product, chances are Earth911 can help.